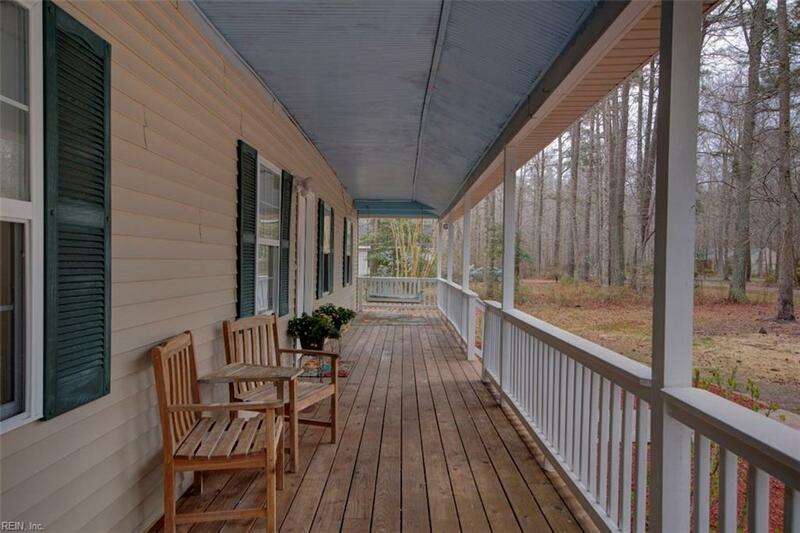 10535 Cedar Gate Ln, Gloucester County, VA 23050 (#10184970) :: Abbitt Realty Co.
Full country porch ready with a swing for morning coffee or quiet relaxation looking out over pretty 1.5 acre setting. 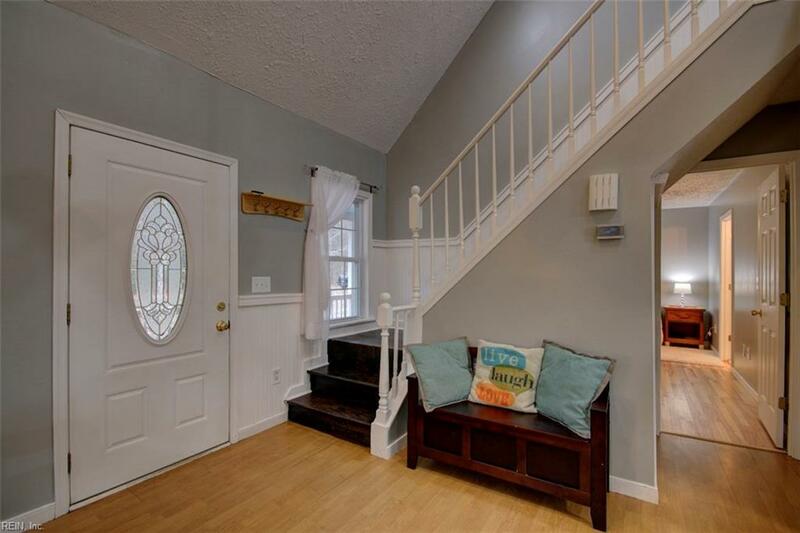 Nicely updated 3 Bedroom home with separate Bonus Room that adapts well to an office, den or extra first floor bedroom. This comfortable home offers a vaulted ceiling Living Room/Dining Room combination with laminate floors, charming Kitchen boasting tile floors, tin backsplash, stainless steel appliances, island with bar & charming pallet coffee rack accent, First floor Master Suite featuring a walk-in closet & en suite bathroom with double sink vanity & unique corner tub/shower and Laundry Room with utility sink. 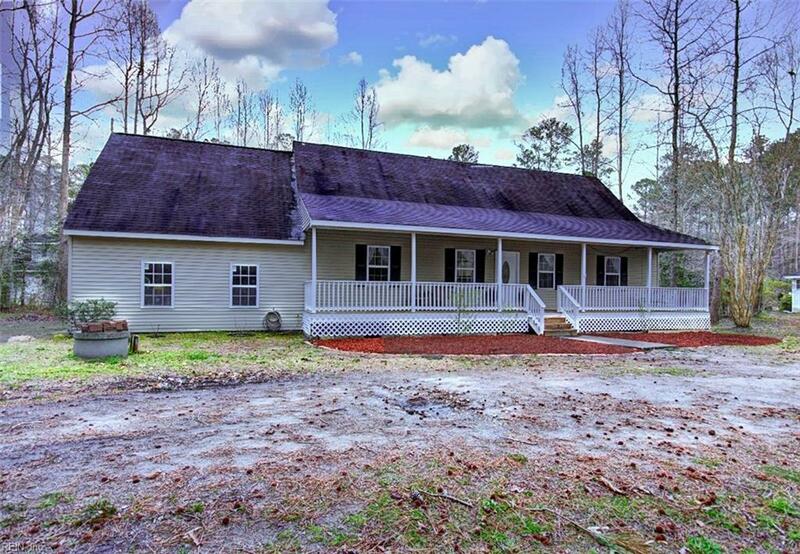 Two additional Bedrooms, one with adjoining Bonus Room that would be great for kids play room or media space, Jack & Jill bathroom rounds out the 2nd floor. 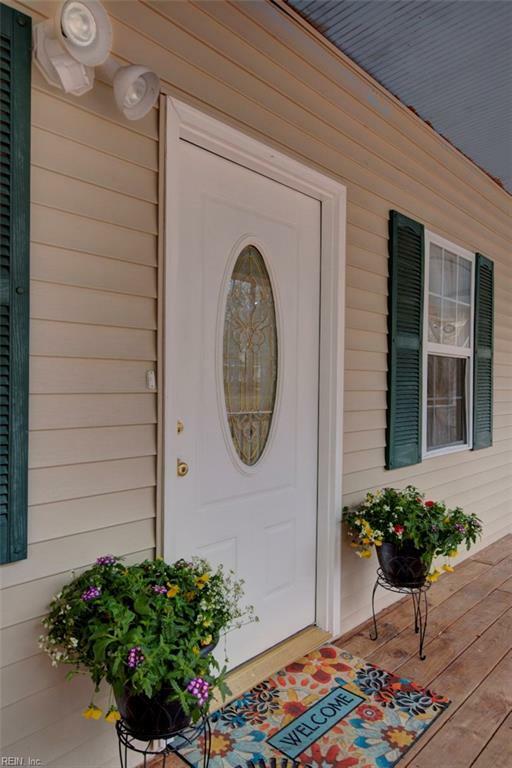 Attached heated 1 car garage, new rear deck, new Trane heat pump/central air 2015, multiple walk-in closets, storage eaves, ceiling fans, water softener & more.